Antipredator behaviour is an important fitness component in most animals. A co-evolutionary history between predator and prey is important for prey to respond adaptively to predation threats. When non-native predator species invade new areas, native prey may not recognise them or may lack effective antipredator defences. However, responses to novel predators can be facilitated by chemical cues from the predators’ diet. The red swamp crayfish Procambarus clarkii is a widespread invasive predator in the Southwest of the Iberian Peninsula, where it preys upon native anuran tadpoles. 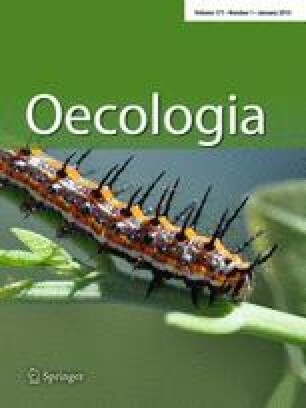 In a laboratory experiment we studied behavioural antipredator defences (alterations in activity level and spatial avoidance of predator) of nine anurans in response to P. clarkii chemical cues, and compared them with the defences towards a native predator, the larval dragonfly Aeshna sp. To investigate how chemical cues from consumed conspecifics shape the responses, we raised tadpoles with either a tadpole-fed or starved crayfish, or dragonfly larva, or in the absence of a predator. Five species significantly altered their behaviour in the presence of crayfish, and this was largely mediated by chemical cues from consumed conspecifics. In the presence of dragonflies, most species exhibited behavioural defences and often these did not require the presence of cues from predation events. Responding to cues from consumed conspecifics seems to be a critical factor in facilitating certain behavioural responses to novel exotic predators. This finding can be useful for predicting antipredator responses to invasive predators and help directing conservation efforts to the species at highest risk. The online version of this article (doi: 10.1007/s00442-012-2389-6) contains supplementary material, which is available to authorized users. We thank Pedro Andrade, Erika Almeida, Susana Alves and Cátia Guerreiro for their invaluable help in the field and experimental work, Hélder Duarte for providing data on species phylogeny and Jesús Díaz-Rodríguez for providing an insight on the Pelodytes taxonomy. Permits were provided by the Portuguese Instituto da Conservação da Natureza e da Biodiversidade (ICNB). This research was funded by the FCT Project POCI/BIA-BDE/56100/2004, FCT grant SFRH/BD/29068/2006 and by Stiftelsen för Zoologisk Forskning.